Welcome back to another before and after. 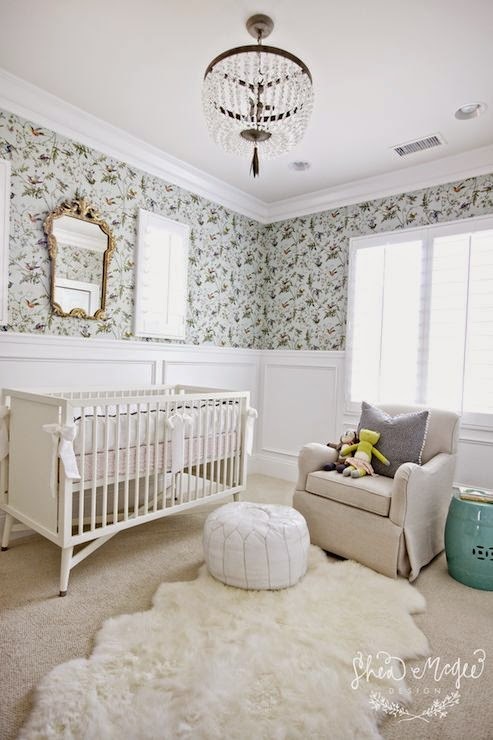 This is a favorite of mine from Project Classic Living, because today… it’s all about the nursery. 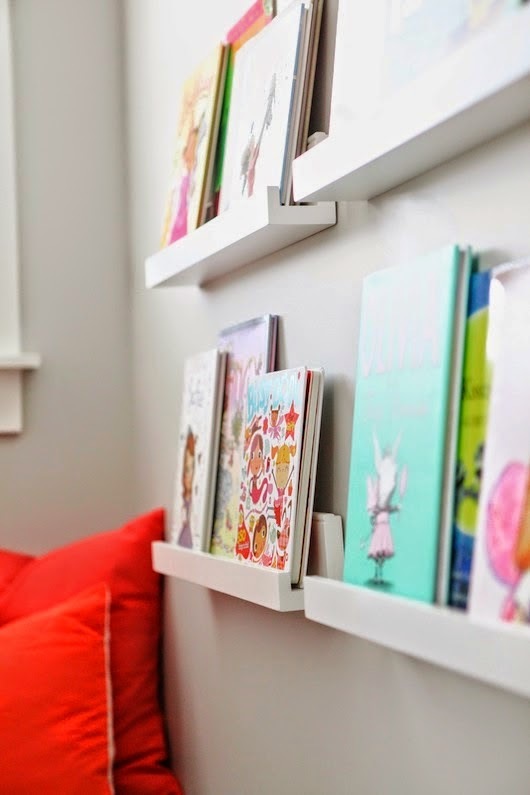 I love designing kids rooms and with two kids of my own, I know how important function can be! It’s also important to include the style in there as well, and there are so many great products out there now, so you can have both. 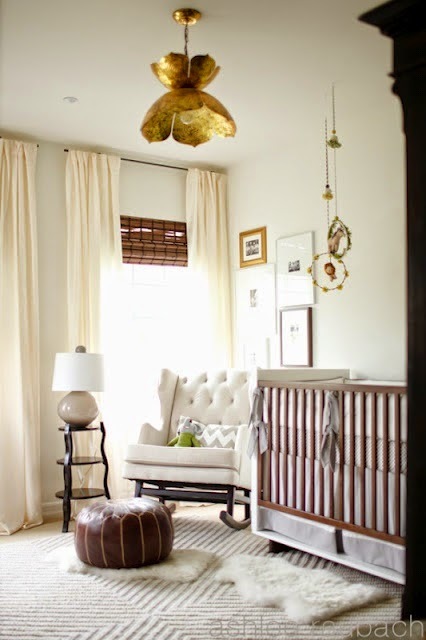 I also love to design a nursery with future years in mind. 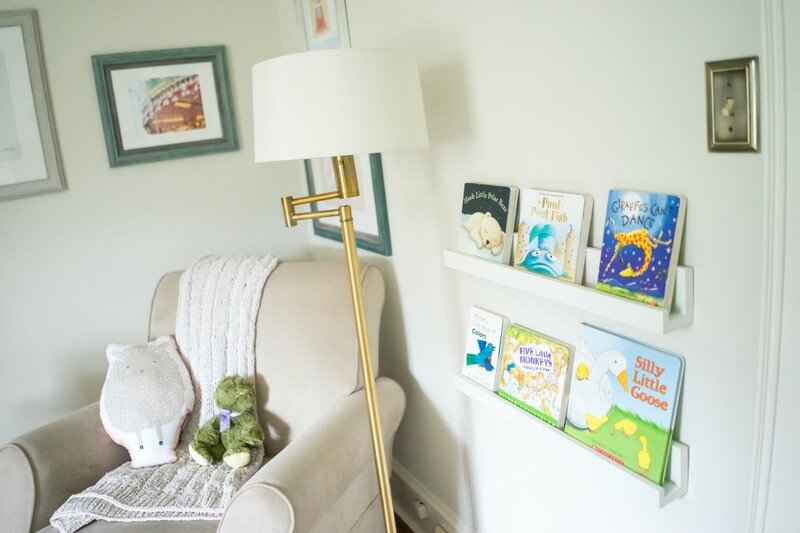 Instead of picking a particular theme, I wanted the room to grow with their daughter and be a space that works even ten years from now. The only item in here that would need to be changed, is the crib! 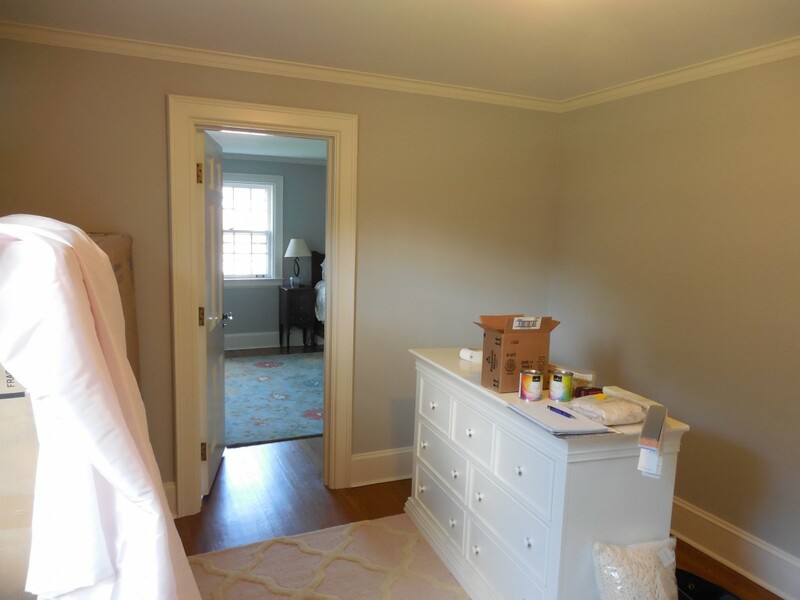 The changing pad can easily be moved off of the dresser and it will look like a regular furniture piece. 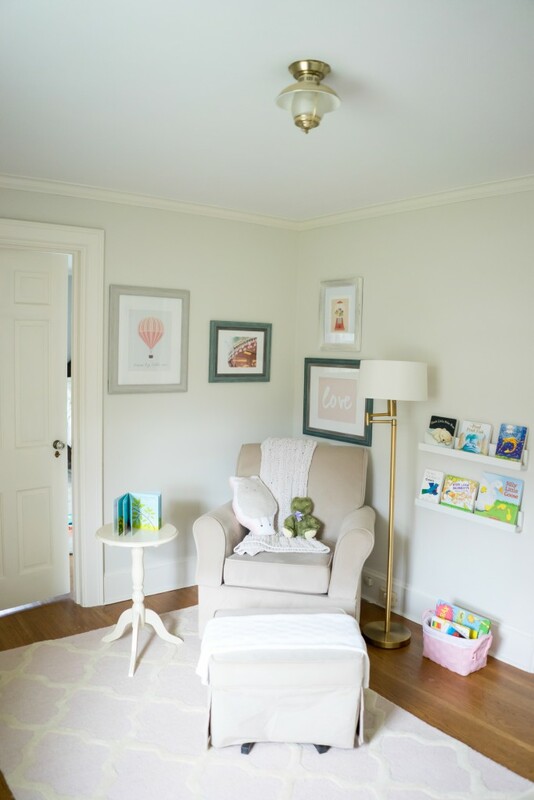 This nursery was the first project my clients and I worked on together, about a year and a half ago. 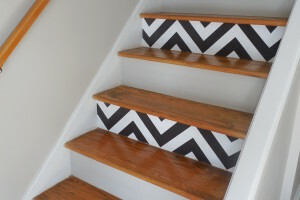 We have moved on throughout the house and it’s so fun to be able to bring that similar style and look to other areas of the home. 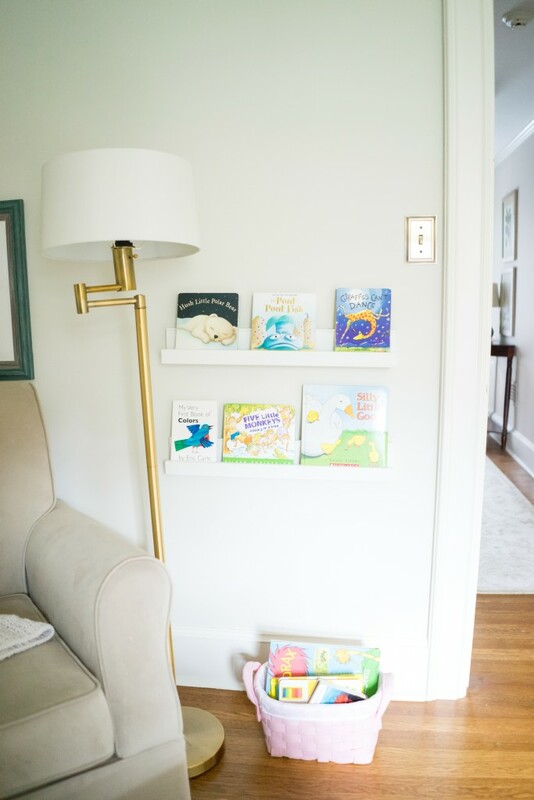 Of course you can have more fun in kids rooms and divert from the plan a bit, but we also stayed true to the home’s charm, character and overall design aesthetic. All after pictures are by Sarah Heppell. 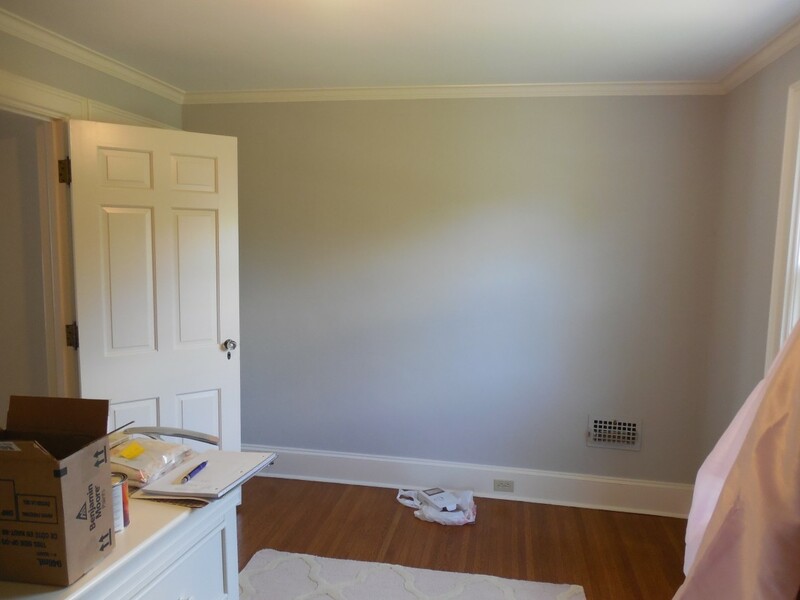 We went with a light, delicate wall color for this nursery… Halo by Benjamin Moore. 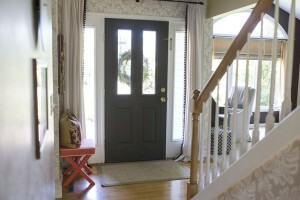 It is the same color we used in the living room and dining room. That is the way that I tied this space to the rest of the home. 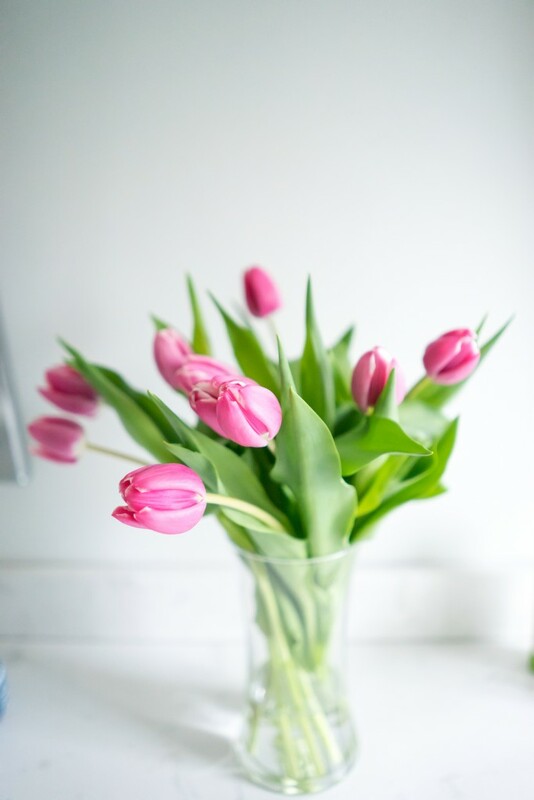 It was fun adding more soft, delicate colors to the room. 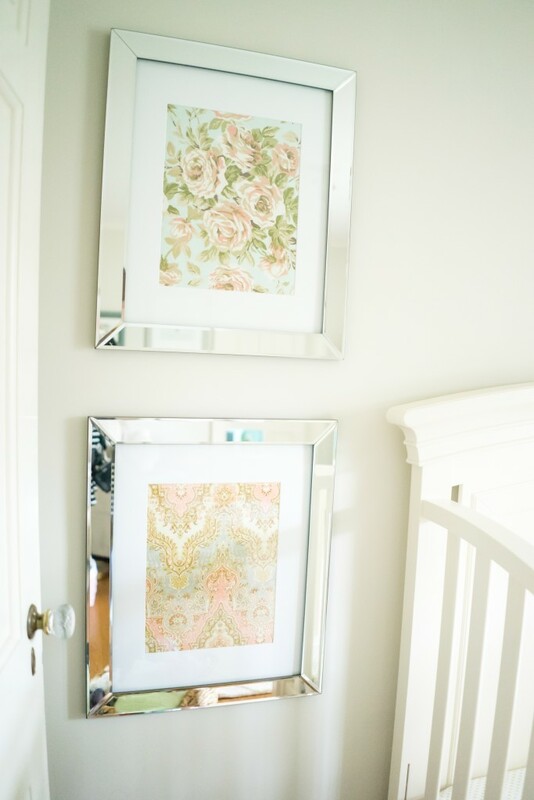 I framed two pretty floral fabrics in mirrored frames, beside the crib. 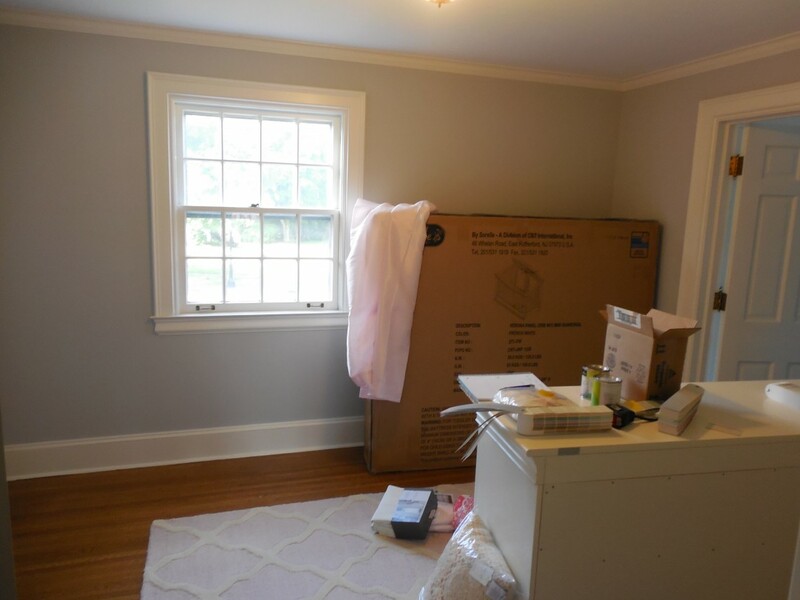 My clients already had the crib, rug and dresser. 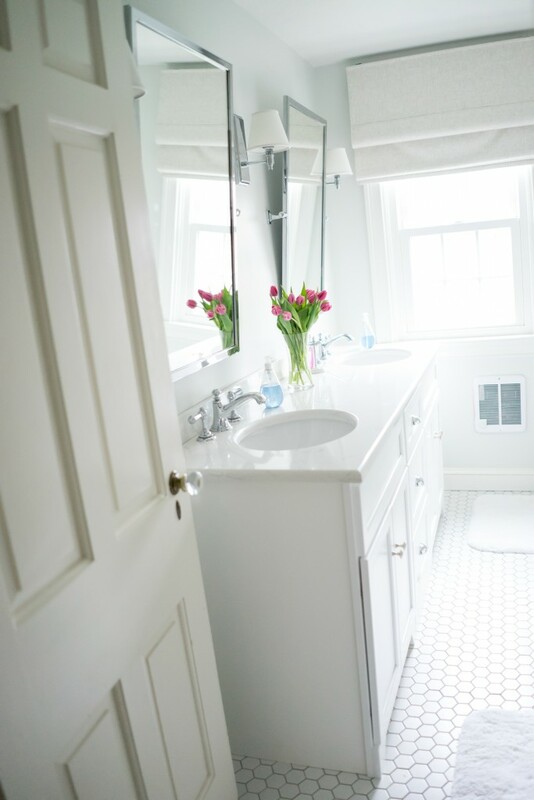 We also used their existing ceiling light fixture, which we believe to be original to the home. I selected the art, seating, window treatments and accessories. It has been so much fun working with them! 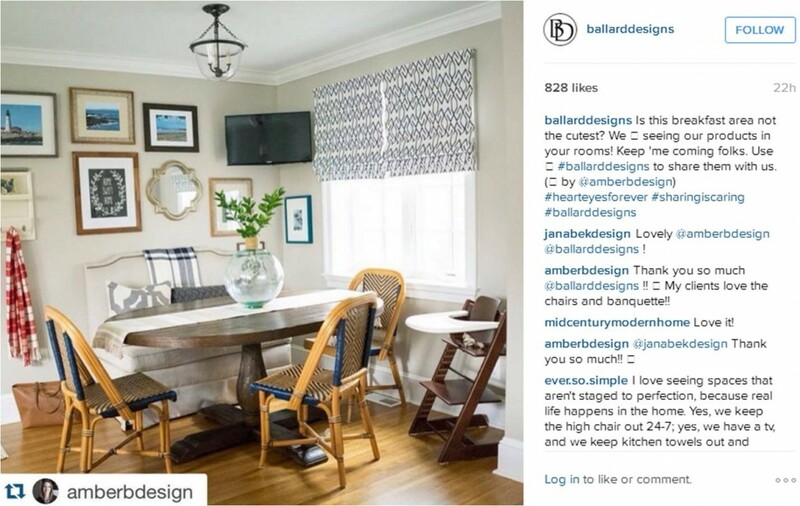 Their kitchen was featured on Ballard Designs Instagram page yesterday. Thank you, Ballard Designs! 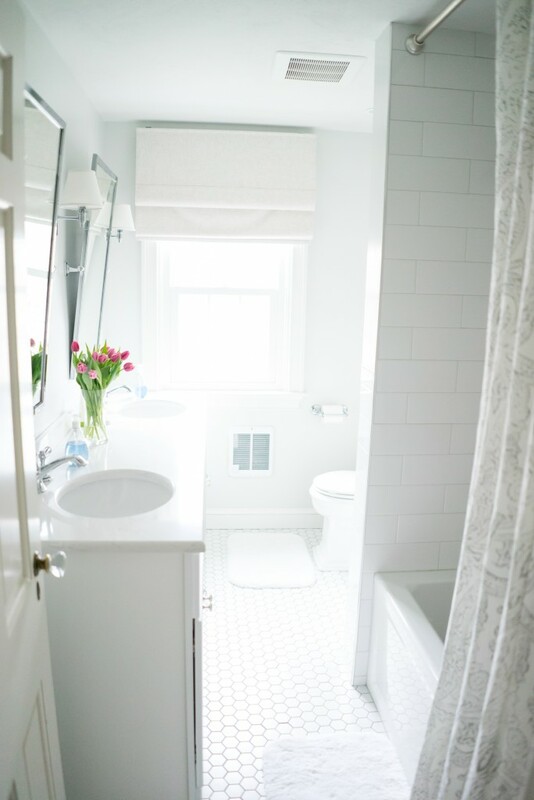 Tomorrow, I’ll be back with a Why This Works post and then back with the final before and after on Thursday… the Bathroom! Showing the reveals from Project Classic Living has been such a blast for me this week! 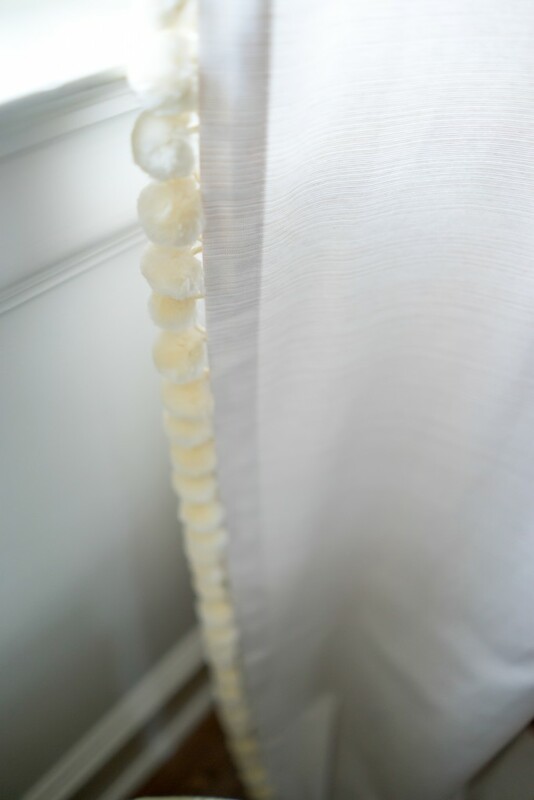 I want to give a huge thank you to my clients for allowing Sarah and I to come into the home and photograph the spaces. It means the world to me to have this project shown in its best light. 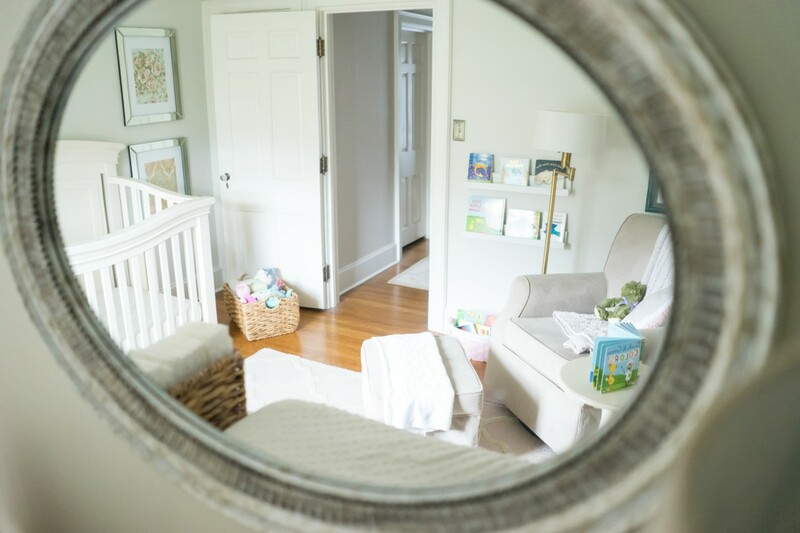 The nursery was where it all began! 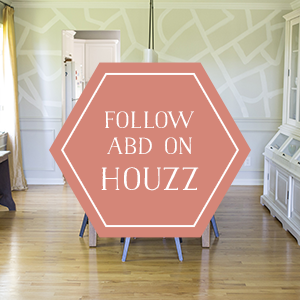 My clients found me through a Houzz search and the rest is history! We first met about a year and a half ago and I am so happy to have met such a wonderful family! 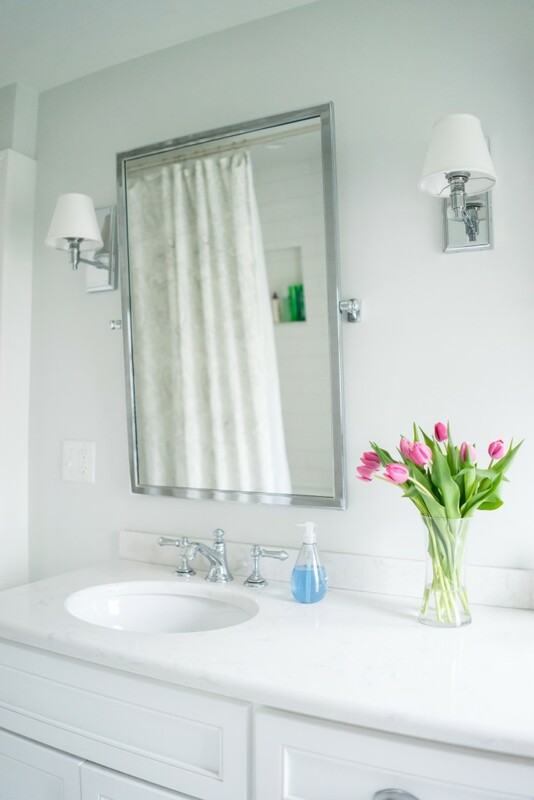 Thank you to Sarah Heppell again, for making this home shine into a light, bright space on such a cloudy day. Of course, the rest of the week had beautiful blue skies! But it didn’t matter- Sarah made it appear as if it was the sunniest of days. 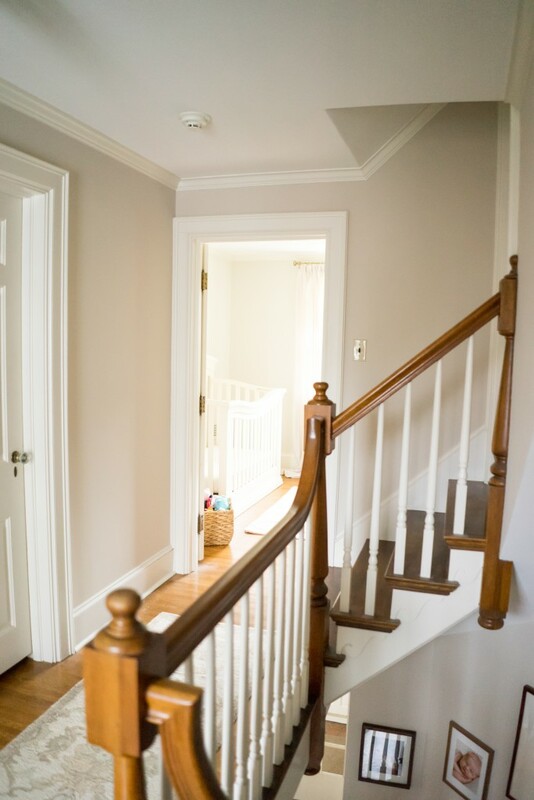 Have fun viewing the nursery, followed by the hallway bathroom! 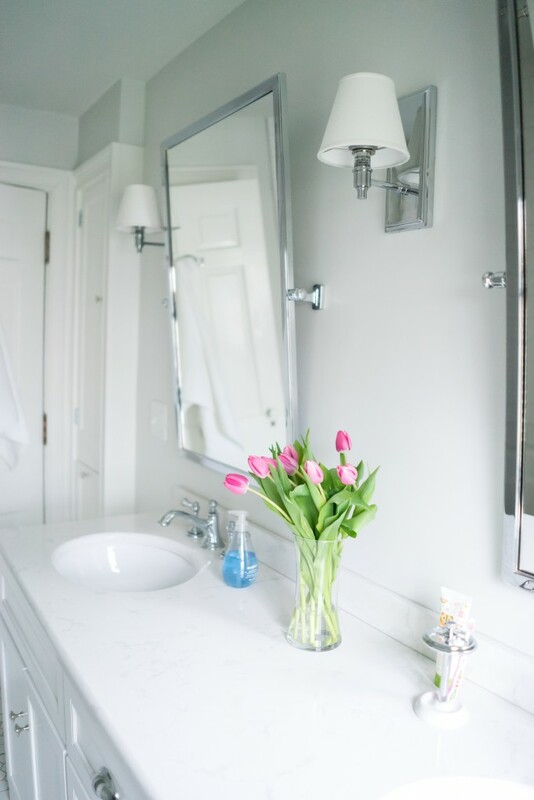 My clients are so happy with the room and I am so excited they love it! There are only a few elements left to fully complete the room. 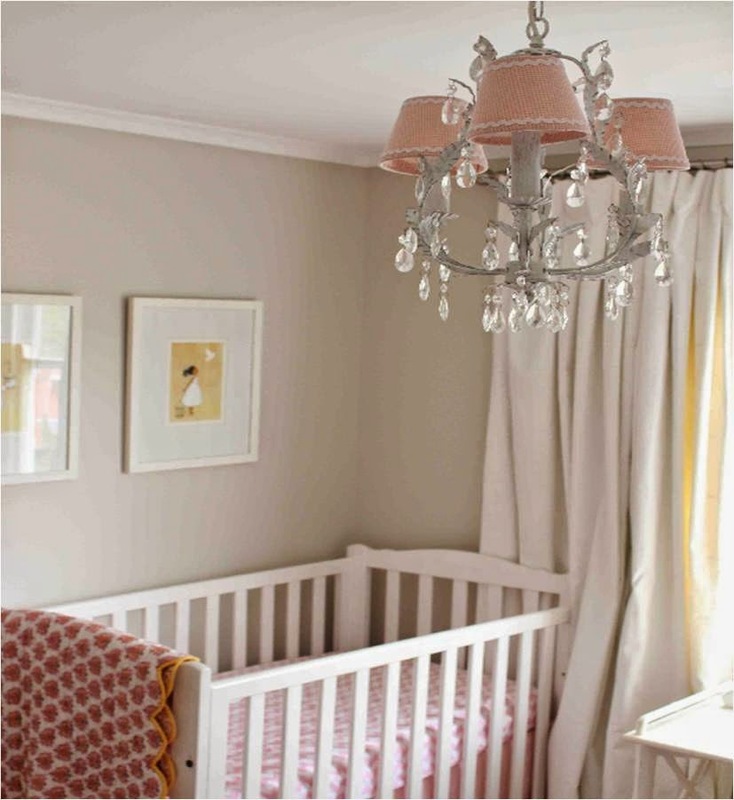 We have a beautiful paper cut mobile going above the crib that has yet to arrive. My client chose the gold lotus ceiling pendant, but it is currently out of stock. In the meantime, we also love the character of the original brass fixture. That might work out after all. Also, wall ledges for book display will be mounted to the right of the glider. I will go into more detail about the space in the coming weeks. Now we anxiously await for this beautiful bundle of joy to arrive! 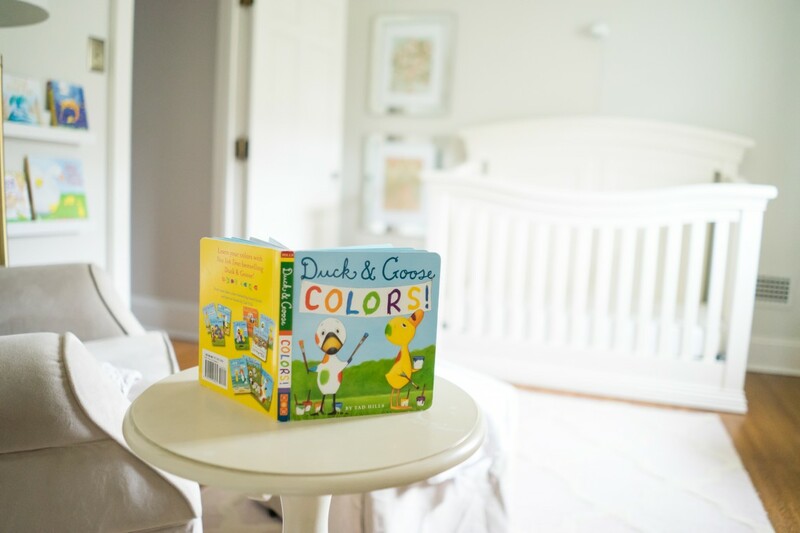 Thank you so much to my amazing clients for allowing me to share the nursery! The presentation went very well! 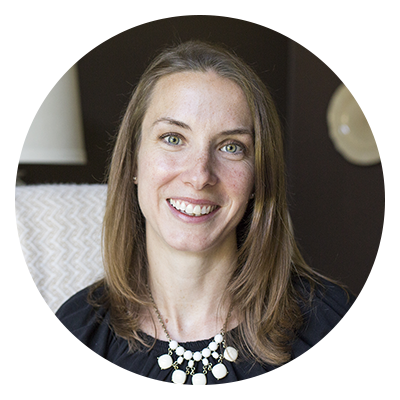 My client is ready to move forward with the plans and I couldn’t be more excited for her and this new adventure! I am excited to continue sharing this project along the way! Whether you live locally or far, we can work together. I am currently offering both local and e-design packages. Please e-mail me at simpledwellings1@gmail.com to get started. I still have a few spots available for the fall!